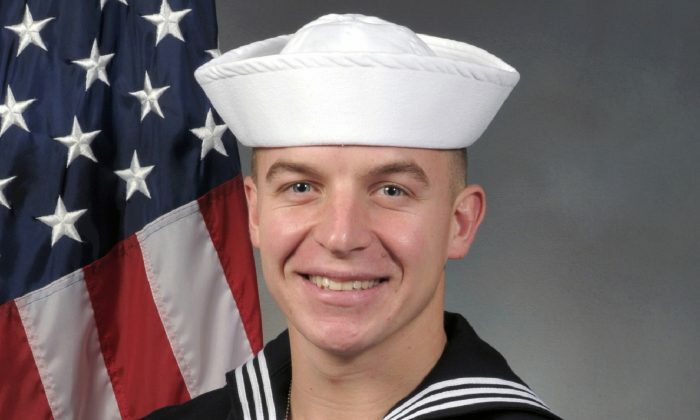 The death of a 21-year-old Navy SEAL trainee who drowned during underwater training is being called a homicide, according to a new report. In the May incident, James “Derek” Lovelace was undergoing rigorous pool training meant to simulate adverse conditions. According to a San Diego County medical examiner autopsy report released this week, Lovelace was observed struggling during the drill. However, the report stated that instructors continually harassed and splashed Loveless for nearly five minutes, including dunking his head underwater twice—an action that the report noted isn’t allowed during this specific type of training. “During the training exercise, an instructor on the dive platform appears to point out the decedent, who appears to be struggling,” the report stated. “Instructors are reportedly advised to not dunk or pull students underwater,” it added. As a result, the San Diego medical examiner ruled Lovelace’s death a homicide. Observers of the event also say that Lovelace’s difficulties during the training was evident. They say his face was purple and his lips were turning blue, reported The Los Angeles Times. The Naval Criminal Investigative Service’s (NCIS) investigations are ongoing, but Navy stopped short of accusing anyone of a crime. Lovelace, a student studying mechanical engineering at Faulkner State Community College before he enlisted, was in first week of the Basic Underwater Demolition/SEALs training course in Coronado. News of Lovelace’s death in early May wasn’t made public until the Navy was questioned about it days later by NBC News and The Virginian-Pilot newspaper. At the time, officials had attributed the death to a training mishap. It has been noted that Lovelace was the fifth SEAL in four months to lose consciousness in the Basic Underwater Demolition/SEALs training course, which according to Navy safety data, is a significant increase in reported blackouts compared to previous years, according to NBC.